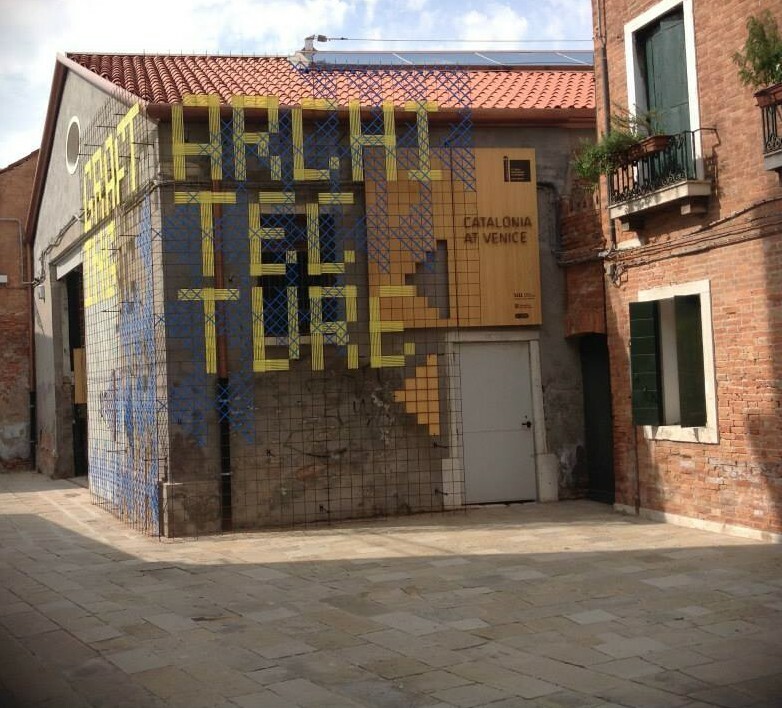 Rem Khoolaas, from the 7th June to 23rd November 2014, is curating an unfrequented Architecture Biennale in the fascinating spaces of the Arsenale and the Giardini di Venezia. The shortage, if not abscence of visitors perhaps can be traced back to the “fundamental” indifference of the public for the fifth art, even more if contemporary. This art lately has been treated badly, reduced to just design and a commodity, not stimulated by public competitions, and with less than perfect advertising outside of the works personnel. Primary schools should be the first ones to start teaching again a little architectural culture and civilization. However Italy and Milan, gaze at Rem Khoolaas, dominus of the International scene and best expression of an “International style”, sustained by the multinational concrete corporations. From the “box –shaped” buildings of the ‘40s – that has trivialized the thoughts and the works of the modern architects – now we have reached the spectacular buildings of the Rotterdam schools, which have nothing to do with the classic school of Delft. In the Central Pavillion we are introduced to texts collections, movies, advertising and “diagrams of evolution” which make a connection to the architectural “elements” – from the handles to the escalators, that distinguish themselves as “foundations” of architecture – objects of a research at the Harvard Graduate School of Design. 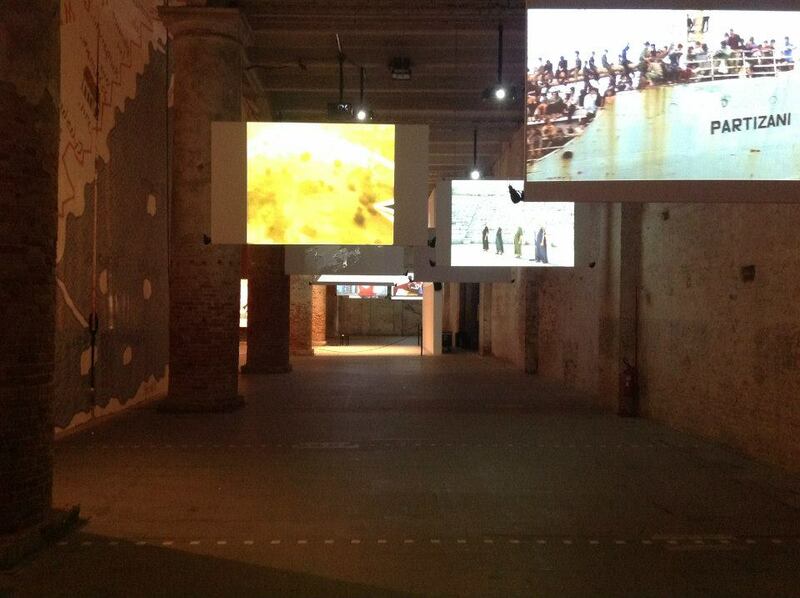 There is a video dedicated to the G8 of Maddalena (“La Maddalena”of Ila Beka & Louise Lemoine) that sees the participation of Stefano Boeri, back on the misdeed lands and with a sincere tail of failure, as unfortunate as such other great works like the Mose di Venezia or EXPO 2015: Italy will inherit this material legacy not having reached the ethical and moral legacy. There are other sections dedicated, for example, to the prefabricated houses of l’Aquila (“L’Aquila’s post-quake landscapes” of Andrea Sarti and Claudia Faraone), the houses with the shopping and the food in the fridge already bought, so that they look better on tv. 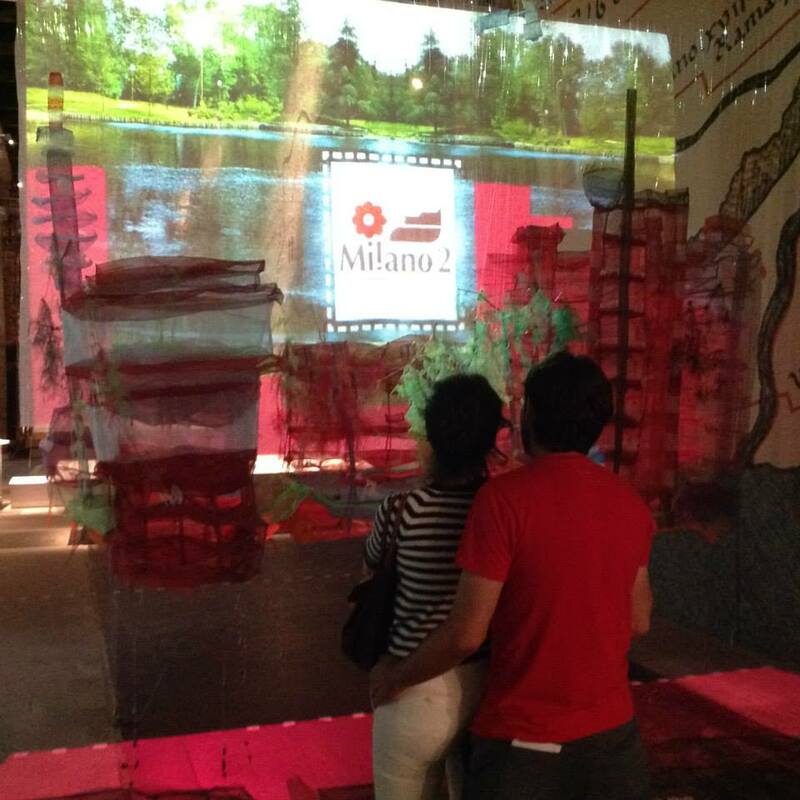 A section dedicated to the new “ideal city” of Milano 2, craved destination of footballers and “olgettine” (“Sales oddity. Milano 2 and the politics of direct to home tv urbanisme” of José Esparza, Chong Cuy, André Jaque): and last but not least – to the rythm of the company FIAT, an identity of Turin, sculpted only on soft wood – the sly face of Marchionne, which stands out from other photographs of delocalized work (“The business of people” di Ramak Fazel). 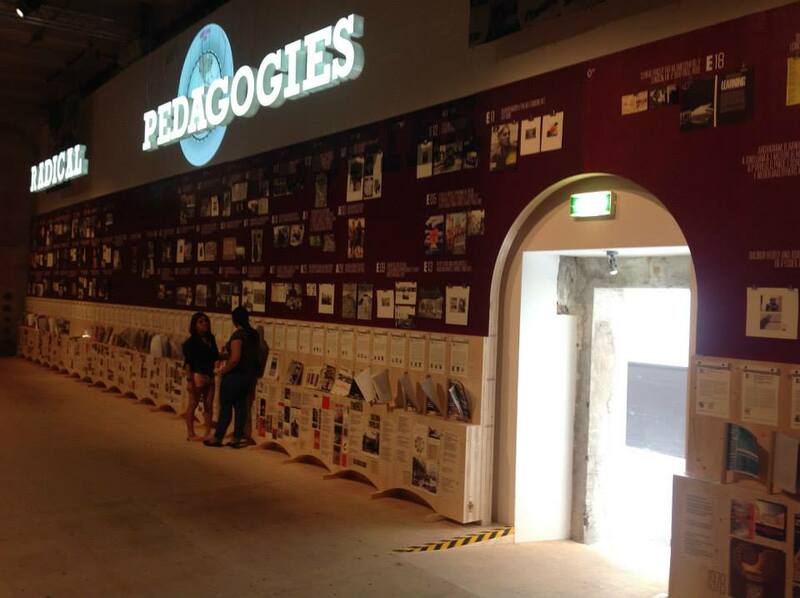 A full wall is dedicated to “Radical Pedagogies: action –reaction –interaction”, where the main aim is to compare and contrast the great collective experiences of the ‘60s when the Triennale was occupied – and then re-occupied 30 years later at institutional level in a different way – to the architecture of Giancarlo De Carlo. These experiences have formed a new generation of architects, of the same age of Rem Khoolaas: his third eye, stripped down from the part of archistar (“architecture, not architects” is the subtitle of the exhibition) and through an in depth collective and singular analysis, lay bare the Italian country. This with a wanted distortion of reality and some superficiality maybe to encourage the comeback (the details of the handles? ), that do not impoverish the exhibition, still fascinating, even if in its desolating reality: the public buyer does not exist anymore and not even an establishment that conceives architecture as one of the founding points of view of a society, a policy and an era. Completely a different character the exhibition of Padiglione Italia, curated by Cino Zucchi, where there is a structured and in depth research themed “Innesti/Grafting”, centered on the city of Milan (in view of EXPO 2015). There is a section dedicated to enthusiasts of the International Exposition, with “grafts” of extravagant names, that is paired to an interesting research on the identity of the City, recognisable by his social and architectural DNA and exhibited in “houses” that in themselves divide “the body of the city” in periods and themes. In his final epilogue skyscrapers stand out – I- want- to – be- New – York – but – I – can’t – and a few cuttings of everyday accounts (Libeskind: “La mia torre ispirata al Duomo disegnato da Leonardo” and Benevolo “Le torri per Milano? Il progetto peggiore”). 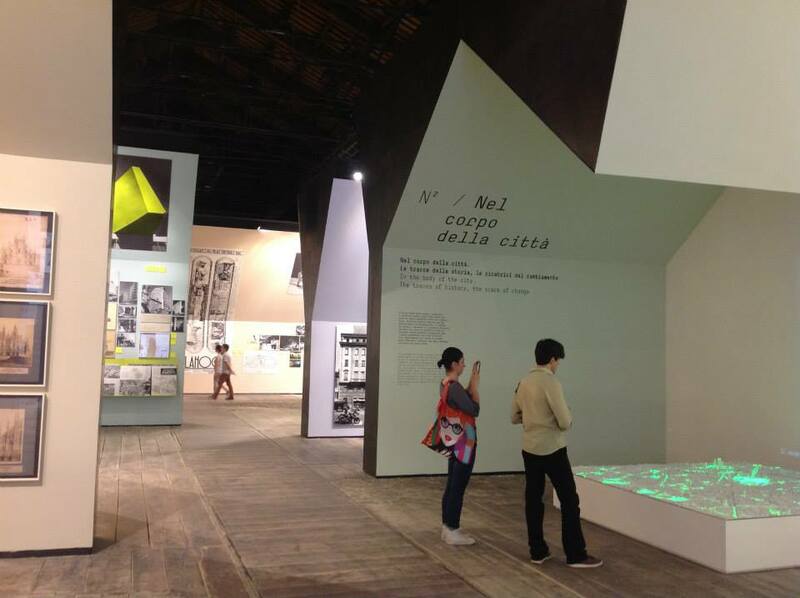 Under a truss made of two layers, it is possible to find, instead – with a stage of oxidised iron of truncated parallelepiped – a series of backlit photos of selected contemporary italian projects, in dialogue with the space overlooking, among which the monument to Garibaldi at Caprera di Pellegrini, the much discussed Expogate of Scandurra, the Park buildings and the Quattroassociati. 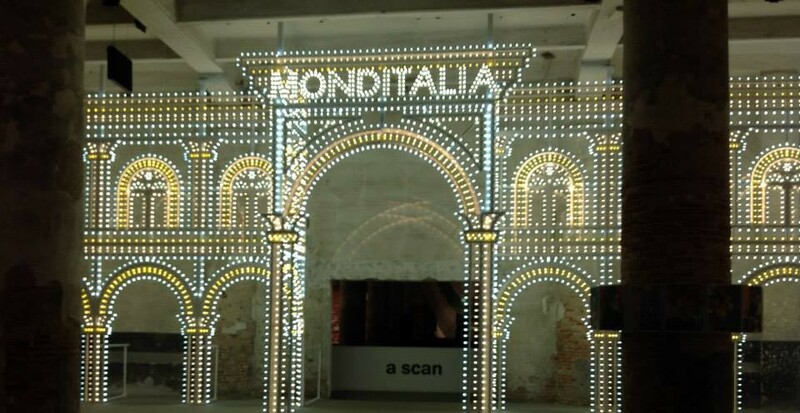 Over the entrance of the Garden of the Virgins, where Italy is represented as a metaphorical rollercoaster projected on nothing – always optimistic! – there is the exhibition “extra moenia”, of the independent Catalonia (Grafting Architecture. Catalonia at Venice). These projects, of the school of Barcelona, that together with Porto and Madrid have formed a recent and “militant” class of European architects trained to the culture of “genius loci”, return to architecture in their most significant “fundamentals”: sketches, projects, models, executive drawings, images of works where the confrontation with history and the specificity of the places become a prospect for the future, in its non global version; the period of mystified rendering and video installations is finished: “architecture is not a Martini” was the title of a famous aphorisms’ collection on the Modern issue. From the past Biennale of Kazuyo Sejima, that has refreshed the minimal in its best “epos”, to the politically relevant Biennale of Rem Khoolaas, where architecure is first an inquiry into reality and vision of the world, a trip to Venice, just for the setting and an idea for reflection, is worthwhile, even more now being in this historical time and a reality like ours, since great changes are expected, after perhaps having touched the bottom: “recouler pour mieux sauter”.